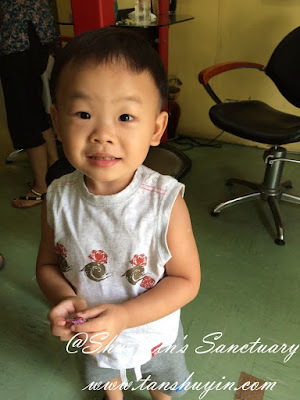 Shu-Yin's Sanctuary: Happy Haircut At Last for Khye! 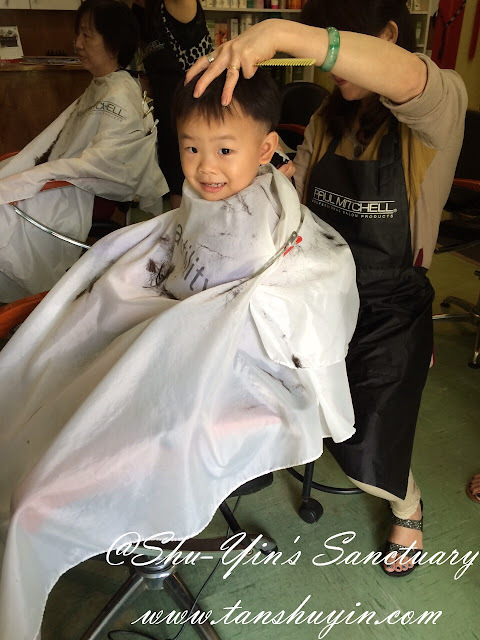 Khye's first haircut was when he was about 10mo. Khye's hair didn't grow that fast when he was a baby, and I felt thankful for that. Why? Because Khye was scared stiff of strangers. 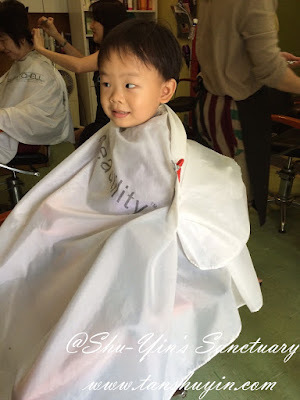 The last 2 times he cut his hair, he cried his eyes out, and his last haircut was early this year. 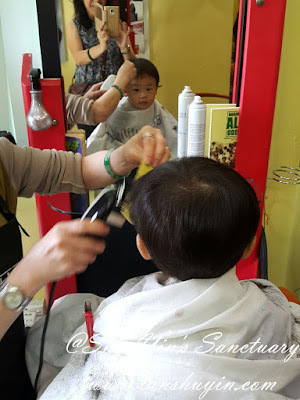 His hair grew quite fast these few mths and it was time for another haircut. 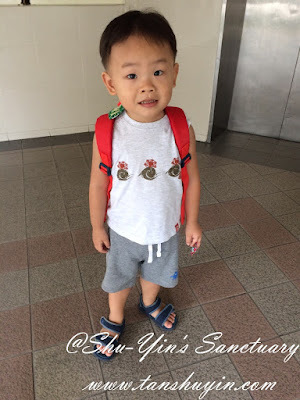 As I am still in my confinement, I sent my sis and mum to bring Khye there, armed with a book to distract him. When they returned, I was surprised to hear good reports from them. Khye no longer cry and was very happy to plonk himself on the baby chair and let the hairdresser cut his hair for him! We were all so proud of him! Look at his happy smile. 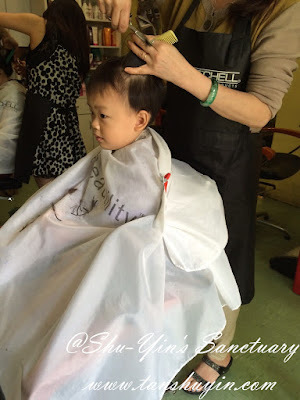 And he sat there quietly too with a sweet in his hand given by the hairdresser aunty. Oh, Khye, how you've grown up so much so suddenly now that you are a koko! Don't grow up too fast, you are still my cutie pie baby!